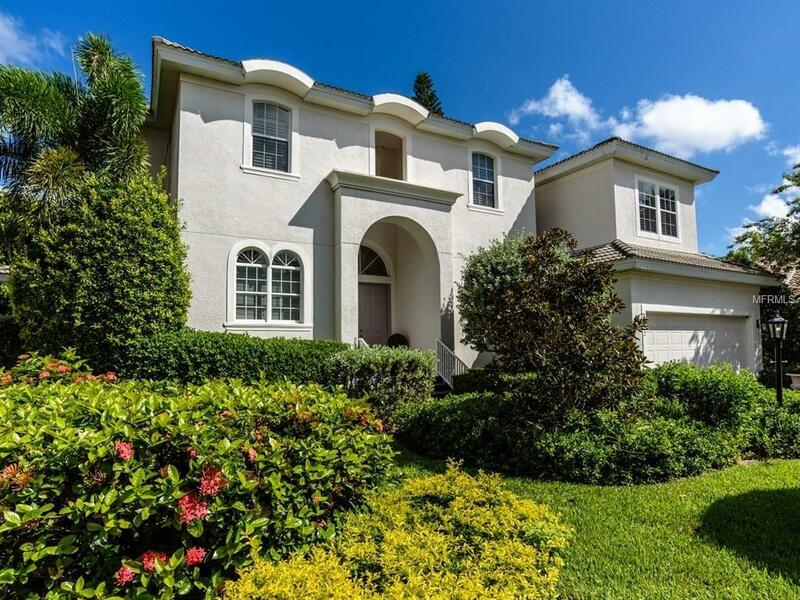 SPACIOUS HOME GATED SIESTA KEY COMMUNITY! 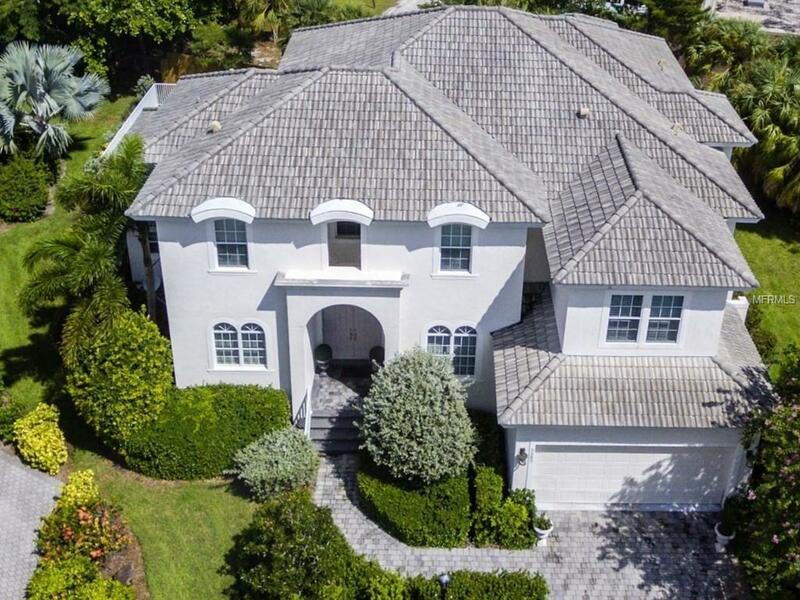 Custom 2-story w/ over 5,000 total SF; 5-6Br/5.5Ba/2CG w/ Lr, Dr, office, den-media rm (or Bedroom 6) & a bonus-play rm. Together w/ 2 covered outdoor entertainment areas & a heated pool. 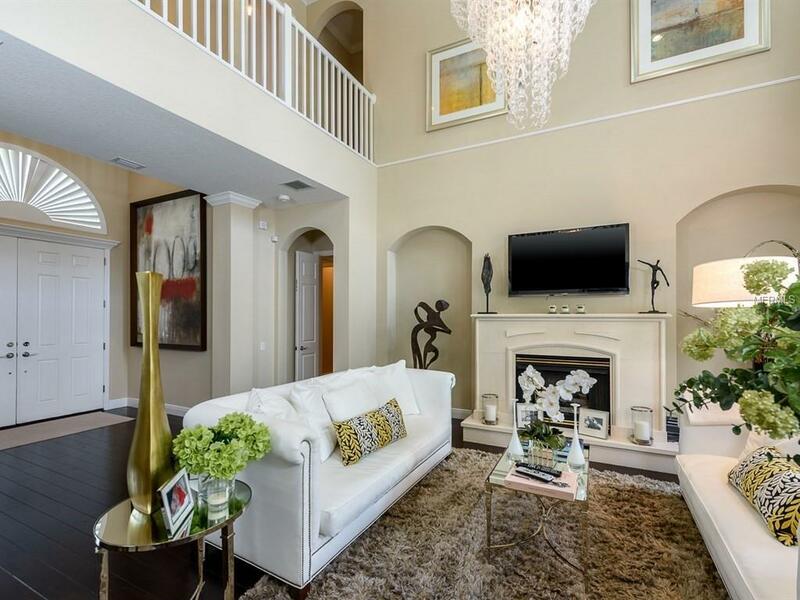 It boasts pleasing architectural elements, exceptional quality & high-end finishes; 2-story clg heights, coffered clgs, crown moldings, chandeliers, clerestory windows, plantation shutters, French doors, handcrafted trim work, natural gas fp, solid surfaces, furniture quality cabinetry & hardwood flrs. Kitch. w/ granite, bkfst bar, center-island & white-melamine cabinetry. SS appls. w/ hood, gas Wolf range, a Sub-Zero fridge, a Miele DW & a GE Profile microwave. Surround-sound in both the den-media rm & bonus-play rm. An Owners Suite w/ dbl walk-ins & pvt lanai access. MBa w/ soaking tub, sep shower & individual vanities w/ dual sinks. 2 ensuite bed/baths are on the 2nd flr along w/ 2 more bedrms & a 4th bath. There is also a main level powder rm, a storage rm & a pool Ba completing the interior. Lush tropical landscaping & brick-pavers provide great curb appeal on this cul-de-sac lot. Nestled in Siesta Estates, a quaint John Cannon built community w/ less than 20 homes, natural gas & an optional maintenance free lifestyle. 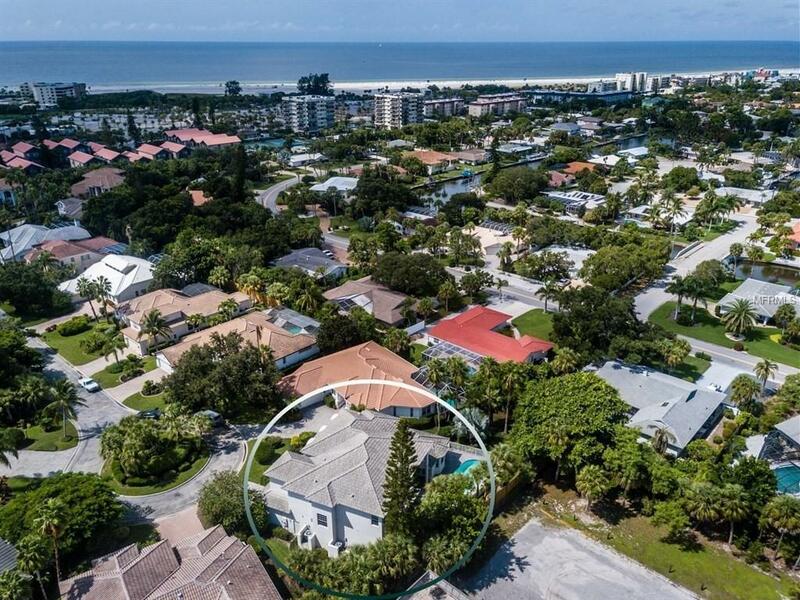 It is about a half mile to the #1 (in the USA) rated Siesta Beach, & the central Siesta Key location is not too far from Siesta Village or many other resort-style destinations on or off the key. Please note that the furniture is negotiable. Amenities Additional Fees Please Note That The Addtl Mo.Maint Fee $266/Qtr For Landscaping Service & The Other Fee $255/Qtr For Pool Service Are Both Optional Fees.